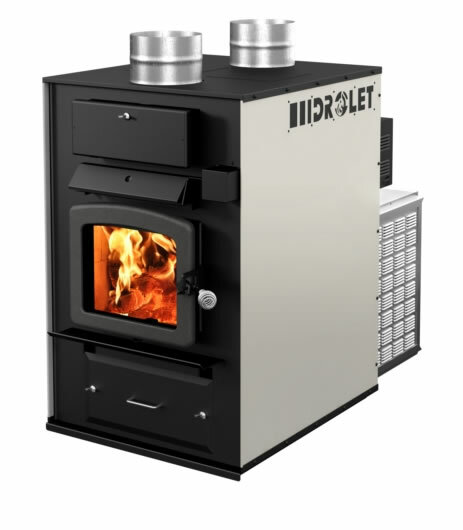 The Drolet Tundra is a high efficiency wood furnace. Here is an affordable, hi-tech wood furnace that provides huge fuel savings, since it uses 40% to 50% less wood than a conventional wood furnace. It offers installation flexibility thanks to its 2 8-inch heat outlets with 6 possible configurations. The Tundra was also built to allow easy replacement of a conventional furnace. In the USA (only), it is possible to install the Tundra as an add-on to an existing furnace (consult owner's manual for details). An optional thermostat can be installed for a more uniform heat distribution. Recommended connector pipe diameter : 6"